Whenever we present articles about food and cooking techniques, we receive quite a number of negative feedbacks. What is wrong with those people? For example, coffee and tea are good for health. Then, some say that its caffeine contents are harmful to our health. But, don't you know that millions of people in the world enjoy coffee and tea? If you cannot enjoy them, then you should understand that something may not be suitable to you, and that there's nothing wrong with coffee and tea itself. Let's take the case of gluten. Gluten is an important source of nutritional protein worldwide. Then, some say that gluten is questionable. It is because rye, oats, millet, barley, wheat, and other grains can trigger allergy. 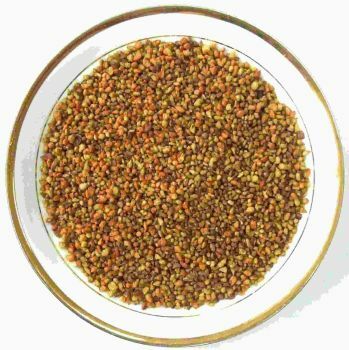 Don't you know that there is gluten extracted from rice grain or seaweeds, too? Do not be small-minded. If that gluten you take has something to do with you, especially if you have celiac disease, then this is something not suitable to you, but there's nothing wrong with gluten itself. Soybeans also contain hemagglutinin, a clot-promoting substance that causes red blood cells to form clumps, but it does not contain serious amounts of it at all. Yes, we all know it, and it won't occur to all, but only to a few small-minded people. Why do I say this? Because studies show that most people who are experiencing adverse effects from eating soybeans are stressful or have internal problems. In fact, my younger brother was suffering from cedar pollen allergy according to his doctor, and has been using the PYRO-ENERGEN. However, his pollen allergy symptoms did not disappear despite the two years of treatment with the machine. I recommended him to stop his work and close his business in the center of Osaka, because I felt that his suffering is caused by stress. Yes, his pollen allergy symptoms seem to have subsided when he resigned from his work. I insisted him to move to Kyoto where our vacation house is located. He did move, although we knew that there are more cedar pollens in this area of Kyoto since the place is surrounded by cedar trees. However, my idea was right. His unknown allergy symptoms had completely disappeared as if there was nothing wrong around. We concluded that the cause of his allergy was what we call “sick building syndrome”. It was not from pollen and foods he eats. I also noted in my previous articles that the use of microwave oven makes cooking easier. Wow, again, I received a lot of negative feedbacks saying that microwave is destroying the food world. Some of them even said that they threw their microwave to garbage! Aren't they stupid? Today, in the world, more than 85% of families are using microwave oven. In Japan, we won't see even a single house without microwave. In fact, we use three microwave ovens in my house. To those stupid and small-minded people, most studies have shown and it is now widely known that any forms of cooking can destroy some vitamins and nutrients in food, but the key factors are how long the food is cooked, at what temperature, and how much water is used. Since microwaves generally use less heat than conventional methods and have shorter cooking times, they usually have the least destructive effects. Eat whatever is available in your farm, in your kitchen, and on your table. They are all healthy foods. That's what all of us in the world eat and stay healthy. My family has been taking soybeans, soy milk and tofu practically every day. Yes, all of us take almost all kinds of vegetables such as cabbage, radish, eggplant, squash, carrot, onion, ginger, garlic, and green leaves, either fresh or cooked every day. We take fishes, cow meat, and chicken meat daily. Coffee, instant noodles, honey, rye bread, and cakes, are all good to eat. We consume about two tablespoons of vinegar every day spreading it on the foods we eat. It does not give any smell or taste at all. 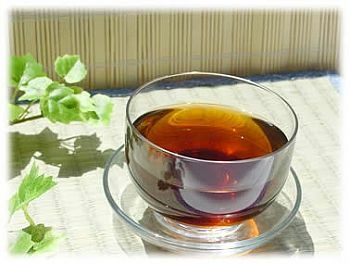 For us, vinegar is very important to maintain good health. In your family, if you eat the same thing, and enjoy and sleep under the same roof, but if you are the only one who gets an incurable illness, then it is not the food that made you sick. I can tell you that most foods (except toxic or foods polluted with toxic elements) are good, because if others who eat the same do not get sick, then it is you who make yourself sick and that something is wrong with your lifestyle. How about turning all bad images of food and refreshing it to a healthy one? There are various drinks and foods, but one of the most commonly known drinks in Japan, China, Korea, Mongolia, and other Asian countries, since hundreds of years ago are barley tea and teas made by boiling roasted and unpolished barley. It contains all important substances with no caffeine at all. It tastes like coffee and tea. 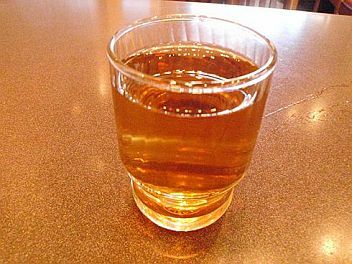 All Japanese enjoy drinking ice cold barley tea especially for preventing illnesses as well as a refresh drink during hot season. It is also a good diet drink from young to old. It is extracted from roasted barley, just like coffee bean. 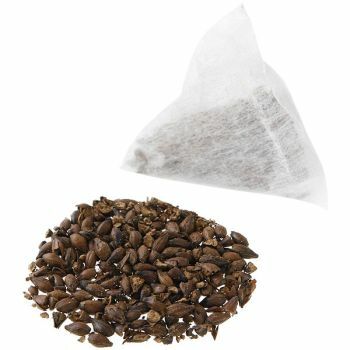 Extracting barley tea is done just the same way as you roast and brew coffee. You can use coffee percolator (coffeemaker). If there is no available roasted barley near your convenience stores, then you can roast barley using your frying pan. Just one cup or 100 ml of barley tea already contains about 240 mg of dietary fiber, 220 mg of linoleic acid, 300 mg of protein, 0.32 mg of calcium, 0.01 mg of iron, and many others including unknown medicinal properties. This simple barley tea may work on your allergy symptoms, stress, high blood and low blood pressure, and anemia. It also works as a slimming diet. Our family consumes an average of 500 ml per head a day.